Tuesdays from 4.00 PM to 8.00 PM. 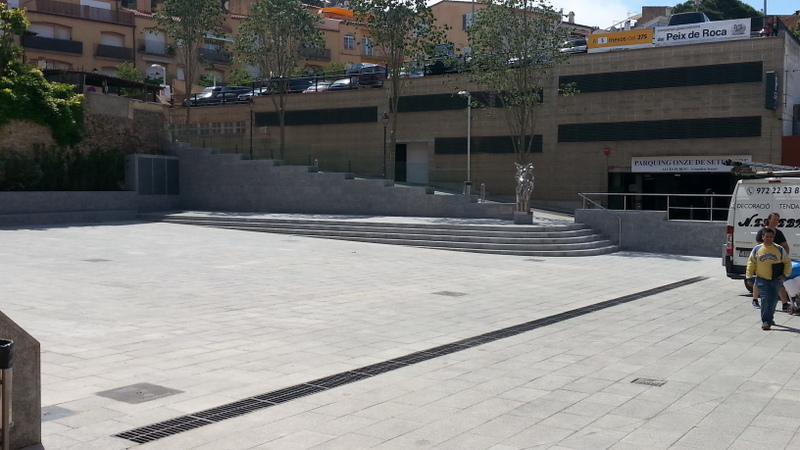 With one month delay the remodelling of Plaça Esteva i Cruañas has been completed. The final result was well worth waiting for. 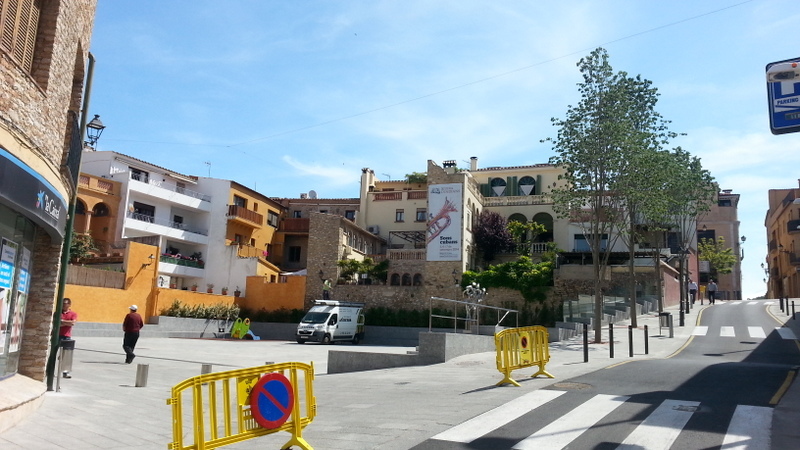 The remodelling of Plaça Esteva i Cruañas has begun. The works are expected to be completed by the end of March 2015. 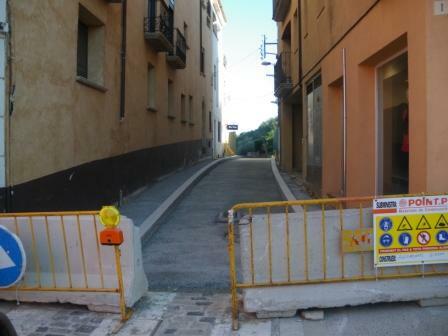 IMPORTANT: As from Monday 10 November 2014 the main access road to the center of Begur - Av. Onze Setembre - is closed for thru traffic to and from the center due to road works leaving access possible for local residents only. 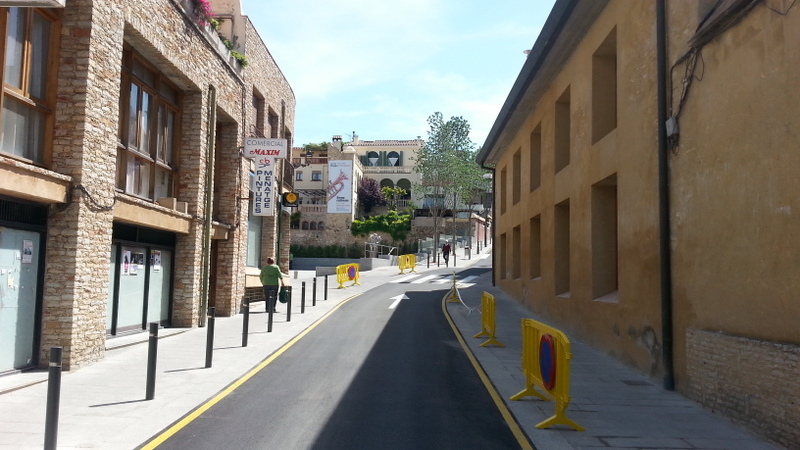 An alternative one-way route to Begur's center has been established via Carrer de la Creu - as from Carrer Lluís Miró behind the SPAR Supermarket on Plaça Forgas - and with exit via Carrer del Camí del Mar. The occasional total closure of Av. Onze Setembre can occur during the works. If you need any further information or assistance on this please call the local police office in Begur at +34 972 624200. Catalunya has four times as many speed-traps as anywhere else in the country, criticises a motoring association. Dvuelta has carried out a survey which shows that in the north-eastern region, 855 fixed speed cameras, 11 'mobile' ones installed in traffic ministry cars – as well as others launched by the regional traffic service – and at least three helicopters. This means a total of 18.18 speed-traps for every 1,000 kilometres of roads – up from 18.02 last year – and 25.6 per cent of all cameras in the country are concentrated in Catalunya. At least half of these are in the province of Barcelona. The national average is 5.09 speed-traps per 1,000 kilometres of road, says DVuelta. According to the survey, the Basque Country has the second-highest concentration of speed cameras with 13.53 per 1,000 kilometres of road, or 6.7 per cent of Spain's total, followed by Madrid and the Balearic Islands with approximately nine or 10 cameras per 1,000 kilometres. In effect, between Catalunya and the Basque Country, nearly a third of all speed-traps in the country are installed on these two regions' roads, with the other two-thirds split between the remaining 15 autonomously-governed communities. And both of these regions have their own traffic authorities in addition to the State's General Directorate of Traffic (DGT). Castilla y León and Extremadura, with 2.45 and 2.18 cameras per 1,000 kilometres have the fewest in the country. In comparison with Catalunya's 855, Andalucía has 128 and Valencia has 64. A HIGH-SPEED train-link between Barcelona and Paris is due to open on Sunday, December 15 and tickets are already on sale. A single to the French capital from Barcelona on the new AVE line is 170 euros, and other routes include Madrid to Marseilles – changing trains in the Catalunya city – which is roughly a seven-hour trek and currently costs 172 euros one-way. Other routes include Barcelona to Lyon, which takes five hours and costs 114 euros for a single ticket, and Barcelona to Toulouse, costing 77 euros one-way, taking three hours. But discounted rates are applied to these, potentially bringing the price down to 59 euros one-way for the Barcelona-Paris route and 89 euros for the Madrid-Marseilles connection. At present, only two daily connections run between Barcelona and the French cities, leaving at around 09.00hrs and 16.00hrs approximately from Sants station and changing in Lyon, then returning from Paris at 07.15hrs and 14.07hrs. A buffet car offering drinks, light meals and bar snacks, plus bilingual staff, extra assistance for disabled passengers and both tourist-class and first-class tickets are available as part of the service. This will mean 17 cities in France and Spain will be connected by high-speed rail, thanks to other services in different parts of each country which link up with Barcelona, Madrid, Lyon, Paris, Toulouse, and Marseilles. The service is operated through a joint-venture agreement between French rail-board SNCF and the Spanish train-travel company RENFE. About 82 million journeys a year between France and Spain, to and from the cities soon to be linked by rail, are undertaken, and at present 89 per cent of those are in privately-owned cars. The French and Spanish governments have been working on the rail-link for the past two years and the last few details were fine-tuned during a meeting at the Moncloa, the Spanish government headquarters, on Wednesday between prime minister Mariano Rajoy and French president François Hollande. A COLD wave sweeping across Spain has proven to be great news for its ski stations – they have been able to start their season early and are already filling up. With snow hitting the north of Spain and areas of high altitude, some of the major resorts in the country are looking forward to doing a roaring trade. These include ski stations in the Pyrénées of Huesca, in the province of Teruel – both in Aragón – as well as Catalunya, Madrid, and Asturias, as well as in the south of Spain – the Sierra Nevada, in Granada. Although ski resorts are hoping for a buoyant winter in terms of profits thanks to the early start, they still face challenges not seen in other, better-known slopes in Europe. In Spain, only 10 per cent of skiers are tourists from abroad, and many of those who already live in the country simply hit the slopes for the weekend or even for the day. But even then, Spanish ski stations collectively saw 4.8 million skiers last year, bringing in net profits of 100 million, allowing them to invest 14 million on improving facilities. The first ski station of the season to open was Masella, in the province of Girona, with 11 kilometres of slopes and eight pistes, plus two ski-lifts in operation – and by next weekend, the management intends to open all 41 pistes with 49 kilometres of slopes and five ski-lifts. La Molina, Girona, Baqueira-Beret (Lleida) and Vall de Núria are all open this weekend, and on November 30, those of Espot, Port Aine and Vallter 2000 will start their seasons. All these ski resorts in Catalunya will shut during the week and reopen in time for Saturday. Ski stations in Asturias will start their season next weekend, on Saturday, November 30 – a week earlier than planned – provided there is enough snow by then. The Sierra Nevada has opened its Borreguiles and Río stations, with special offer prices for the first week – 25 euros for adults, 10 euros for children between five and 12, and under-fives go free. Next weekend, the Aramón ski stations in the northern region of Aragón will open – Formigal (Huesca province) will start its season on Friday, November 29 and the two others in Huesca – Panticosa, Candanchu and Cerler – together with the Teruel province resorts of Javalambre and Valdelinares will open up their slopes on Saturday. The Navacerrada resort in the Sierra de Madrid, just a short drive from the capital, will also start its season a week early and open on Saturday. Around 200 people are currently working in ski stations across Spain to get them ready for the start of the season, but by the time they are open, the number of employees is likely to be in the thousands. Spain's neighbouring country, Andorra, will open its two major ski resorts, Vallnord and Grandvalira next weekend. Whilst Spain is often overlooked by foreign tourists as a ski destination in favour of the more-established slopes of the French and Swiss Alpes, the Dolomites, Austria, Germany and Bulgaria, they offer excellent quality and are among the cheapest in Europe – with the added benefit of combining a skiing holiday with a stay near a beach in pleasant, springlike climates which, in Granada, Castellón and Valencia – the nearest two coastal provinces to Teruel and only an hour's drive – average between 15ºC and 20ºC in the winter and higher still in March or April, with constant sunshine. POLICE have warned that the so-called 'tyre-puncturing' highway robbers are back and actively targeting hired cars and those with foreign registration plates. The thieves' modus operandi involves puncturing a wheel either when the car is stationary at an airport or petrol station, or by firing a shot at it when it is in motion then, when the driver and passengers get out to check, offer to help them while an accomplice sneaks into the vehicle and relieves the occupants of their contents. Other variations include stopping drivers for directions, or flashing cars to warn them of a mechanical problem such as a falling exhaust pipe or lights not working. Distraction techniques mean that lightning-quick thieves can get in the car while the driver is otherwise occupied – even just for a matter of seconds. Around 30 per cent of crimes on the AP-7 motorway through the Costa Brava, Costa Dorada and past Barcelona involve highwaymen side-tracking drivers to rob them. Drivers and passengers should keep all doors locked when travelling any distance, particularly if they are in a hired or foreign car. In the event of a problem with the car that needs inspecting, lock the doors immediately upon getting out and if possible, leave at least one adult passenger in the car. Where it is obvious that the problem cannot be resolved without expert help, call the breakdown company without leaving the car. If approached at a petrol station or supermarket, or anywhere else that involves parking, for information, always lock the car before responding just in case it is a hoax. Keep valuables out of sight and check your household or travel insurance policy to ascertain what cover it provides for theft from vehicles, since it is rarely cost-effective to claim for this from a motor insurance policy. In the event of any suspicious activity, call the emergency hotline, 112, which can be done even where there is no signal on most mobiles and where English-speaking operators are available if necessary. A COSTA Brava restaurant has been named the 'best in the world' by a British magazine. The trade journal Restaurant calls the Celler de Can Roca, in Girona, 'the Oscar of the gourmet world'. During a ceremony in London's prestigious Guildhall, brothers Joan, Josep and Jordi Roca won an award for their family-run business. They knocked Danish restaurant Noma off the number one spot this year – now number two in the world, the Scandinavian eatery hit the headlines recently after 63 diners suffered an upset stomach on the same night due to a chef who was unwell passing on germs through the food. Noma's owner, René Redzepi, has been top of the list for the past three years. Among the top 50 restaurants in the world, five are Spanish – three of which are in the top 10. After Celler de Can Roca, the Basque eateries Mugaritz and Arzak, both in the province of Guipúzcoa, are fourth and eighth respectively. Until 2010 when Noma won 'world's best restaurant', top of the list for four years was El Bulli, owned by super-chef Ferrán Adrià, which has now closed – although Adrià is auctioning a meal cooked by him for over 36,000 euros. Quique Dacosta – formerly El Poblet but now bearing the name of the chef and owner – which is based in Dénia (Alicante) plummeted from 12th to 26th place this year and the Asador Etxebarri, in the province of Vizcaya in the Basque Country, fell from 31st to 44th. Two wildfires in Alt Empordà (Girona) - one of which is still burning out of control - have already claimed three lives and devastated around 13,000 hectares of woodland in just eight hours. The first of the two fires broke out at about 1pm in the town of La Jonquera (Girona), very close to the main N-II road and the AP-7 motorway, just 500 metres from the French border, and is burning violently southwards, pushed on by the northerly winds. Firefighters have asked residents of Llers, Pont de Molins, La Jonquera, Capmany, Agullana, Biure, Vilamadal, Sant Climent Sescebes and Masarac to stay indoors until the flames are brought under control. Chaos quickly ensued on the affected roads, with cars travelling along routes almost being touched by the flames. The AP-7 motorway and the N-II, Gi-500 and Gi-610 main roads have been closed, causing an almost total collapse of traffic going in and out of France. 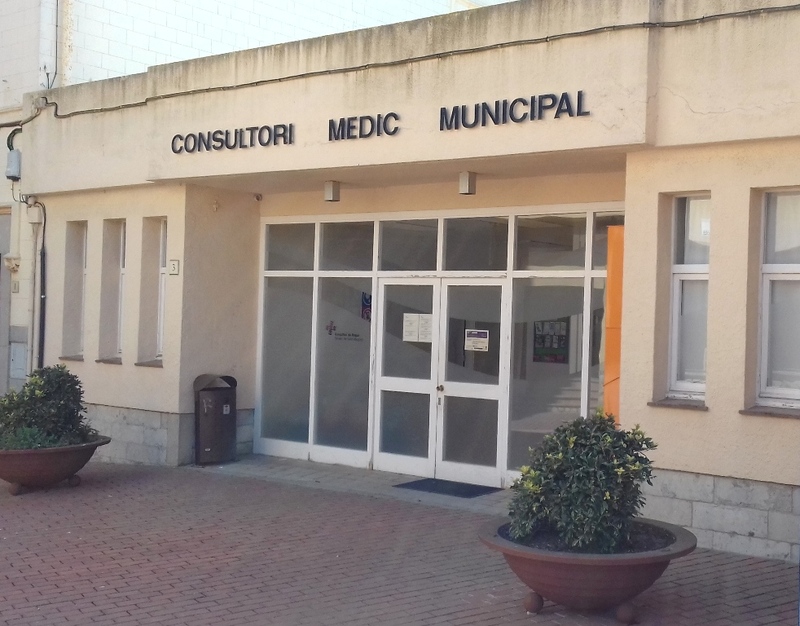 An elderly person died of a heart attack in Llers after finding themselves surrounded by flames. A Frenchman, who was driving through the area, is in a very serious condition in the Hospital de Vall d'Hebron with burns to 80% of his body. Two others have sustained minor injuries trying to fight the fire in country house in Llers. Witnesses say there has been widespread panic as flames reached houses in the area. More than 80 firefighting crews from Spain and France are trying to control the blaze, which is currently advancing southwards at a rate of 5km per hour, closing in on the provincial capital, Figueres. According to the emergency services, 4,241 homes have been left without power. At around 7pm this evening, a second fire was discovered in Portbou, and has already burned 50 hectares. It is now under control and despite being a much smaller blaze, it has turned out to be just as lethal as the other one. A number of drivers on the N-260 came off the road after finding themselves surrounded by flames and tried to flee down a precipice; some even threw themselves into the sea. This appears to have been the case with two more people who lost their lives today, after falling into the sea - a 60-year-old man and his 15-year-old daughter, who were found drowned. Another two people are in a critical condition, five are considered to be in a serious condition and a further 15 have minor injuries. At Begur we had only a slight smell of smoke in the evening of 22 July and there was very little or almost no downfall from the clouds in the centre of Begur. On 23 July the smell had all gone due to the slight wind from the east. The smoke on the way towards Begur. The sun over Begur through the smoke. The cloud of smoke over Begur. Massive tailbacks on the AP-7 in Catalunya and Valencia were seen as demonstrators refused to pay tolls during the second protest so far this year. The pressure group, No Vull Pagar ('I don't want to pay') blocked 13 toll-booths on the motorway and caused gridlocks at the exits in Vilassar de Mar on the C-32, and Martorell and Girona South on the AP-7. Only around half as many non-payers were seen this time, compared to the protest on May 1, say the toll companies, but over 3,000 motorists were arrested. As well as facing fines of 100 euros apiece, drivers will also get a bill from the toll company, Abertis, for the unpaid tickets. Catalunya's regional traffic authorities have received 16,000 penalty notices for drivers who refused to pay their tolls, although they have only processed just under 1,300 of these so far. 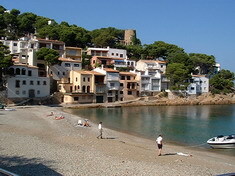 2 April 2012 - Head Chefs of El Bulli to open new restaurant in Cadaques. The three Chefs from the El Bulli kitchen will be opening this April their first restaurant in Cadaques. “Compartir" (Sharing), their own project, but is not going to repeat the style of El Bulli. The three young chefs, that will continue to have links with Ferran Adria through the El Bulli Foundation, have worked together for more than 14 years and for this new adventure have gathered a team of trusted young professionals that will help them make the project a reality. Summer arrived today at the Girona airport with an important increase in the number of flights. The airport for Girona and the Costa Brava will offer a total of 69 destinations of which 58 will be with Ryanair and an average of 472 flights each week. Aena will approve the new taxes for Spanish airports. If there were to be an increase in taxes, Ryanair has said that it will suppress many of the new routes for this summer. If however, things continue as they are, Ryanair will fly to 58 destinations this summer from Gerona. Around 20 of the new destinations will be regular destinations for the airline; Ibiza and Madrid, Cagliari and Perugia (Italy), Doncaster and Manchester (United kingdom), Cologne and Dusseldorf (Germany), Stockholm Vasteras and Malmo (Sweden), Bydgoszcz, Krakow and Gdansk (Poland), Poitiers (France), Aarhus (Denmark), Nador (Morocco), Cork and Knock (Ireland), Turku (Finland) and Salonica (Greece). The City Council of Girona has offered the Swedish multinational furniture retailer that it should settle on land next to the AP-7 highway. The Town Hall could thus take advantage in front of other suitors since Girona is a unique location in the whole region. If the parties agree now, a brand new IKEA store in Girona could open in 2015. Ryanair today announced 19 new routes from Girona to Aarhus, Bydgoszcz, Cagliari, Cork, Doncaster, Dusseldorf, Gdansk, Ibiza, Knock, Krakow, Madrid, Malmo, Nador, Perugia, Poitiers, Skelleftea, Stockholm, Thessaloniki and Turku from March 2012. Ryanair’s Girona based aircraft will grow from four to nine for summer 2012, as its new routes (59 in total) increase its Girona traffic to 3m passengers p.a., sustaining up to 3,000 jobs at the airport and in the Girona region. Ryanair’s 19 new low fare Girona routes went on sale on www.ryanair.com as from 11 January 2012. The above expansion of the Girona traffic is based on an agreement with the Girona authorities running thru 2016. The very poor meteorological conditions last month (July) resulted in a 5 to 7 percent decline in hotel occupancy rates. Official data are not available yet, but the first estimates suggest hotel occupancy rates in the Girona province of around 50 percent. The hotel industry hopes the numbers improve in August (so far it looks good !) and that they won't be affected by bad weather like that of July, which is recognised as one of the coldest and rainiest months of July in recent years. Budget airline Ryanair announced on Tuesday (26/07) that they plan to reduce routes from Girona Airport from 46 to 25, an additional 21 routes. This new cut is to be implemented in October, at the start of the winter season, and is in response to the lack of a competitive agreement being reached with the Catalan Government, company Vice President Michael Cawley announced at a press conference in Barcelona. Ryanair already announced the cancellation of 18 routes from Girona Airport in February, reducing the number of routes from 64 to 46 and the number of weekly flights from 300 to 194. The new cuts will mean an additional 50% reduction on the volume of passengers (from 2.6 million to 1.3 million) scheduled to transfer via Girona airport with the airline, and a reduction in aircraft from six to three. Cawley, however, maintained that Ryanair is still willing to continue negotiations ahead of the summer of 2012, and opened the door to future recovery to levels of previous years, when they carried up to five million passengers, reported ABC News. Despite the reduction in service, Ryanair’s Girona base will remain open until at least March 31. Of the destinations to be cancelled, 4 are domestic and the other 16 are international. The domestic routes to be deleted are those between Madrid, Alicante, Sevilla and Tenerife, and the international routes affected include Brussels, two in London, Liverpool and Rome. The Generalitat de Girona has agreed to pay Ryanair 7,5 million €uro annually, half a year after the disagreement between the government and Ryanair and after traffic at the airport at Girona has declined to preoccupying levels, the Generalitat de Girona has offered the airline company practically the same amount as in the pre accord, plus the possibility of charging an additional amount for each passenger transported over the 4 milllion per year base stipulated in the agreement. Now the signature of the airline company remains to finalise the agreement. While the agreement between the Generalitat de Girona and Ryanair regarding the airport of Girona seems as distant as ever, the passenger numbers are suggesting a serious concern - 41,4% fewer passengers in Girona during the month of May and 31,1% fewer overall during the first five month of the year 2011. The figures also indicate that the airport in Barcelona continues to grow, thanks to Ryanair. 7 April 2011 - IKEA to open in Girona ? IKEA is studying the possibility of opening a store in Girona. Two initiatives are being considered for a project with an investment of 120 million Euros and the creation of some 600 jobs. 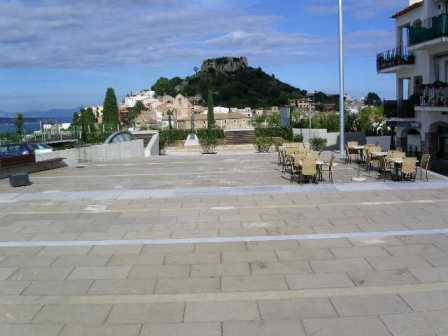 The refurbishment of Cami del Mar from Begur Centre towards Son Molas has now been completed. 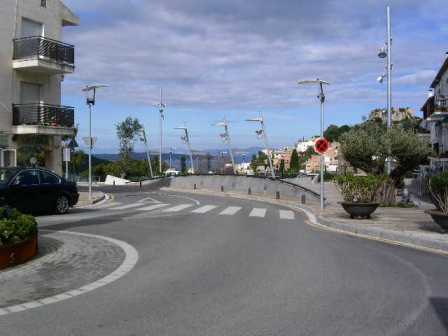 The use of cobblestones between the buildings towards Begur centre is particular appropriate. Towards Son Molas asphalt is used. The parking area close to Son Molas has now also been refurbished. 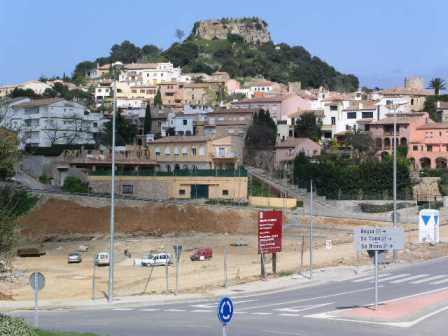 The street (Cami del Mar) from Begur Centre towards Son Molas is currently being completely renewed. As can be seen the works are progressing, but it will still take some time before this street can be reopened. 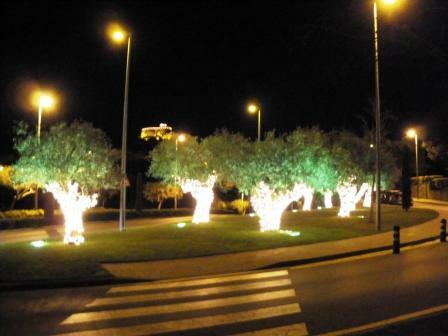 The Christmas lights at the entrance to Begur are exceptional nice this year. 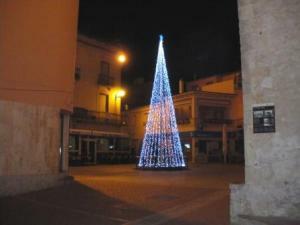 This years Christmas tree on Plaça de la Vila might be environmental correct but we are however missing the traditional real Christmas tree here. The beach of Sa Tuna and the circular path along the sea side (camí de ronda) from Aiguafreda to l'Eixugador (Begur) is to be renovated. The associated work has already begun and will last 8 months. 15 June 2008 - We are back. After a couple of weeks off the air 'www.beguronline.com' is now back. We apologise to our loyal visitors but we have been offer for our own success. Since we are ranked amongst the top 10 sites for the search word 'Begur' on Google the workload became more than we could handle. We have now reorganised ourselves and believe that our problems belong to the past. On behalf of the 'www.beguronline.com' team: Sorry - and happy surfing with us ! 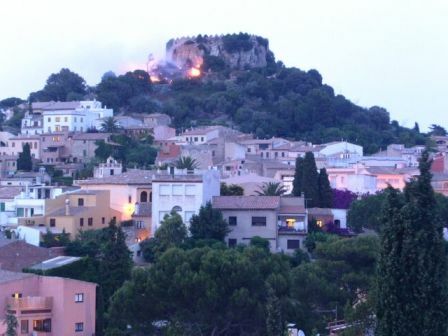 During the celebrations of Midsummer Eve (Sant Joan) in Begur this year a very unwelcome bush fire broke out close to the Begur castle. Fire crews from neighbouring villages came very quickly to the scene and the fire was under control in no time. Let us hope that the use of fireworks - which probably was the cause of the bush fire - will take place with greater caution in the future ! 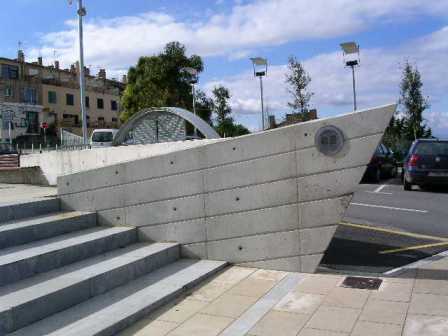 2 July 2005 - The new Parc l'Arbreda was inaugurated. After nearly two year's hard work the new Parc l'Arbreda was inaugurated on 2 July 2005 at 7.00 PM with cava and sweets for everyone. The opening festivities continued all night with light show, fireworks, music and dance as from 11.00 PM. This photo is taken on 23 June 2005. 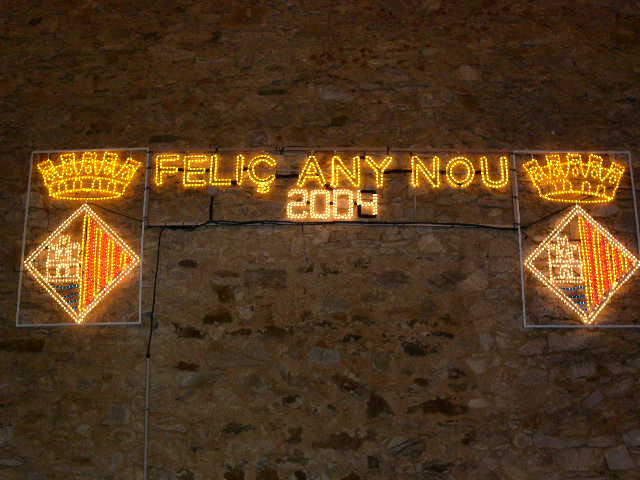 On 19 September 2004 Begur arranged the day of embroidery on Plaça de l'Església. September 2004 - The remodelling of the Park Arbreda has begun. 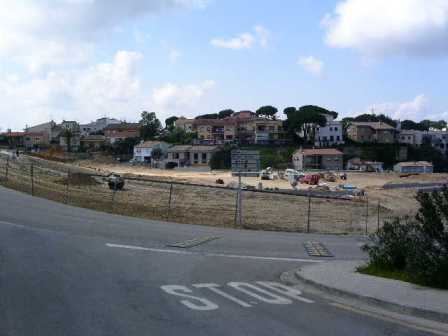 This is the very latest picture from the remodelling of the Park Arbreda taken on 17 September 2004. 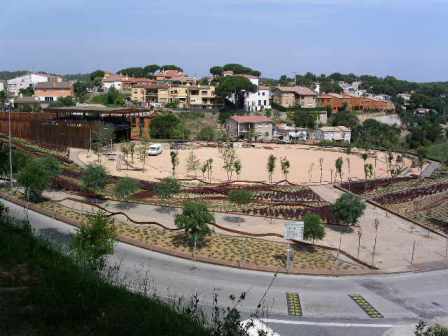 This is a picture from the remodelling of the Park Arbreda taken on 5 July 2004. The remodelling of the Park Arbreda has begun. All old trees and bushes have been removed and a total new park will emerge. 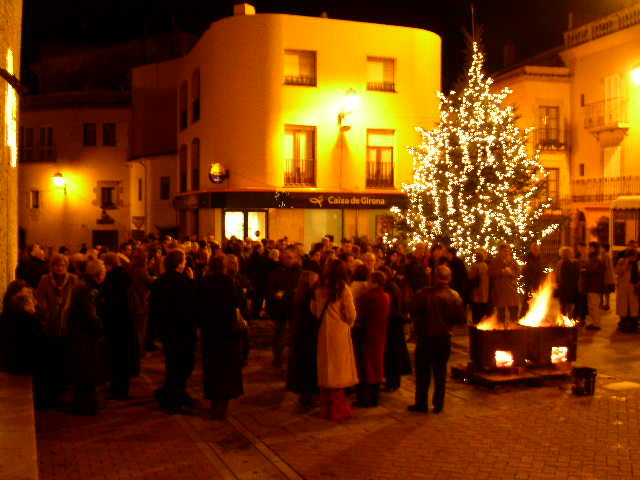 After the midnight mass in the church many people assembled this year on Plaça de la Vila for the traditional glass of Cava around the Christmas tree and bonfire. 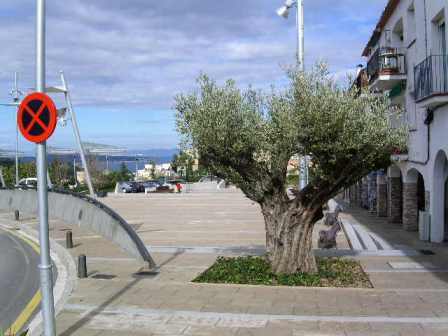 The renovation of Plaça Forgas is now completed and an inauguration ceremony has taken place during the month of October 2003. The new Plaça Forgas has taken long time to arrive, but the result is simply fantastic and has been well worth waiting for !! 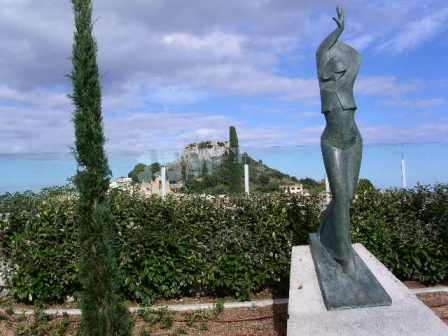 A warm thank you to the members of the Ajuntament de Begur - and to the entrepreneur teams, who actually carried out the works - for yet another local attraction. Parking fees for the new underground car park are set at 1 €uro per hour - or fraction thereof - with a maximum of 10 €uro per day or 150 €uro per month. 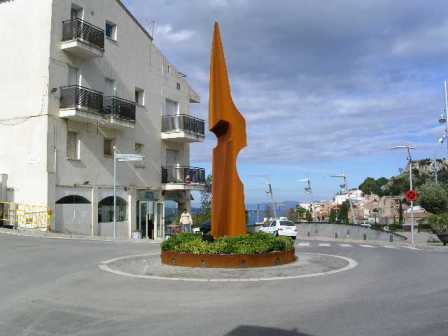 Arriving from Palafrugell you are greeted by a very impressive and artistic roundabout ! The Carmen Amaya statue has got a very prominent position on the new Plaça Forgas.